Der var nok et par stykker der skulle checke mobilos, mens de kører..
Jeg tror nu ikke det vil gøre den store forskel om de har kørekort eller ej, jeg læste et sted at i 30% af ulykkerne havde de indblandede ingen kørekort. Så kan man så konstatere at 70% med kørekort stadig ikke har lært at køre ordentligt i trafikken. 12 passengers on the speedboat were injured, including 10 Chinese tourists (8 adults and 2 children). This is the dramatic moment 23 tourists are rescued after a speedboat capsized off a Thai island yesterday (February 7). 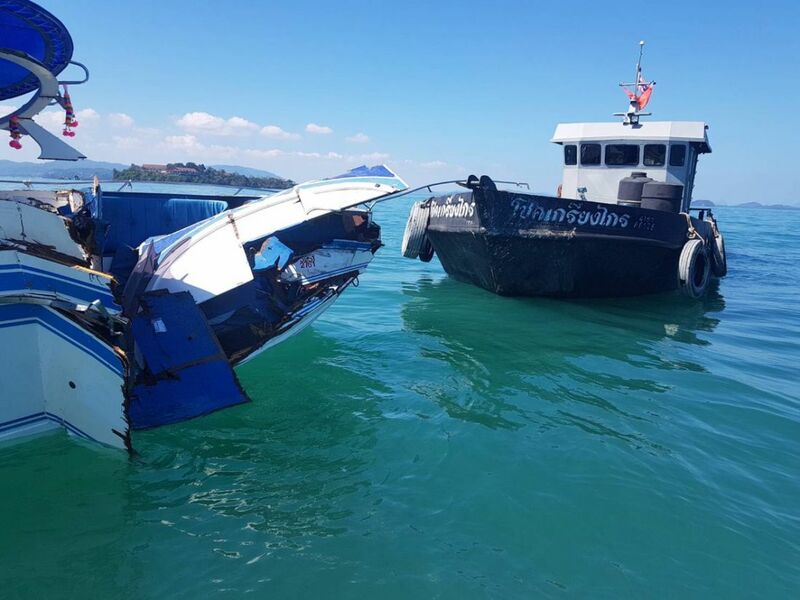 The group of holidaymakers were on a sight-seeing trip around Koh Samet off the coast of Rayong, eastern Thailand, when the vessel struck and coral reef and spun out of control. The group were heard screaming as they battled to escape from the boat, which had rolled onto its side and was rapidly sinking. Coastguards arrived at 2pm and rescued the group who were rushed to the shore. Two of the tourists were injured. Police are now investigating whether the owner of the tour company, Black Marlin, had a proper license to operate trips to the islands carrying tourists. However, officers said the owner had fled and they had been unable to question him in the immediate aftermath of the accident. The crash yesterday comes just six months after a ferry carrying Chinese tourists sank off the coast of Phuket, in southern Thailand, killing 47 holidaymakers. A number of Chinese tourists have been injured, one seriously, after the speed boat they were on hit a small oil tanker off the east coast of Phuket yesterday afternoon (Saturday). The speed boat, Sai Nam, was carrying 10 Chinese passengers, including two children, was heading back to Phuket after a day at Koh Phi Phi. The tour was between Koh Rung and Koh Ma Phrao when it collided with a small oil tanker, the Choke kriangkrai. The collision damaged the speedboat but it didn’t sink. The steel tanker sustained only minor damage.